2. Chicken riding a pizza-eating kitten rug. Duh. 5. Walter, that’s a perfectly good pizza. 17. When is it *not* pizza time? One of the greatest things about the success of OTTO is our ability to give back in the communities we serve. This Thursday (12/18), at our 159 Cottage Rd. location, we’ll be hosting a special fundraiser for the Mullen family. OTTO’s own, Ciera Mullen’s family suffered a great tragedy recently when they lost everything in a house fire. While we don’t believe we can do anything to replace their loss here, we do hope to bring a little something back through a monetary donation. We’re pulling together to donate 50% of ALL SALES during the hours of 5-8pm. We encourage all to come out and show their support. This includes takeout, delivery, dine-in, gift cards, & merchandise! 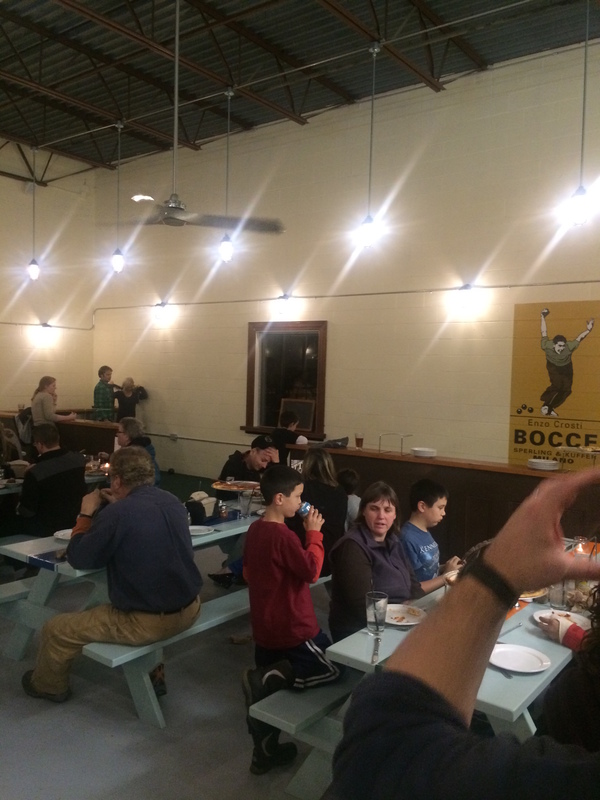 OTTO’s New South Portland Location Is OPEN! We are pleased to announce that our second South Portland location, at 125 John Roberts Road, is now (finally) officially open! 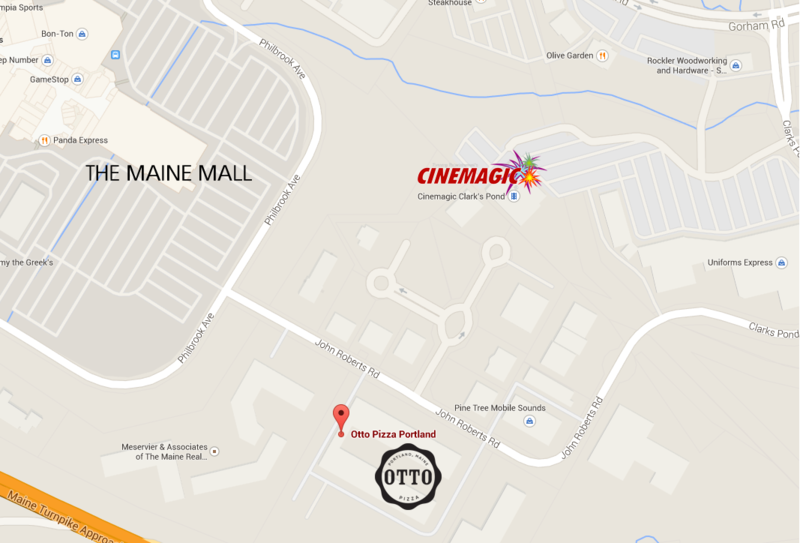 Tucked away in the office park just a stone’s throw from The Maine Mall, Home Depot, and Clark’s Pond Cinemagic, we believe shoppers, moviegoers, and office employees in the area will find OTTO to be a welcome addition to their dining options. Whether dine-in, takeout, delivery, or catering your office party, we’ve got you covered at 125 John Roberts Road. Call in your order by dialing 207-772-0900, or by using our online ordering service (you can even order in advance). Everybody knows that pizza and beer go together like, well, pizza and beer. It’s a well-known fact that Portland, Maine has no shortage of either. 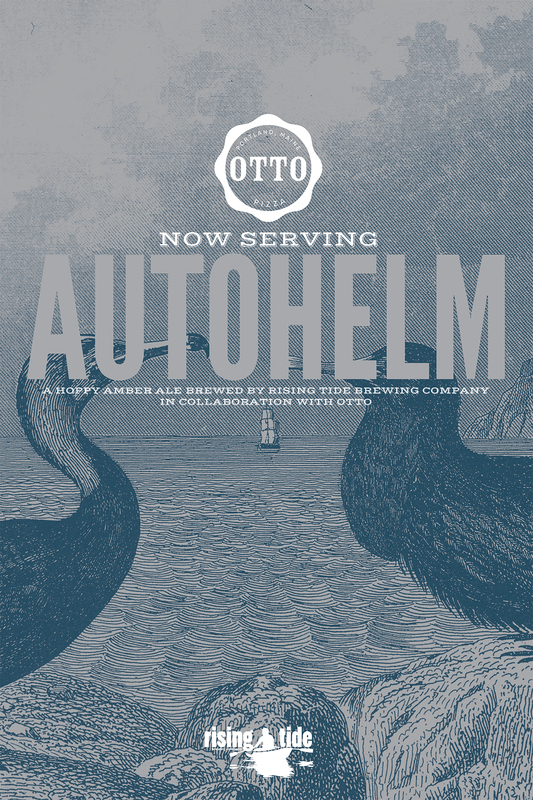 Starting December 10, in Maine, diners at OTTO will be able to pair their pie with Autohelm, a deliciously hoppy amber ale brewed by Rising Tide Brewing Company in collaboration with OTTO. By mid-December, OTTO diners in Massachusetts will be able to do the same. This limited special collaboration will be available exclusively at OTTO. 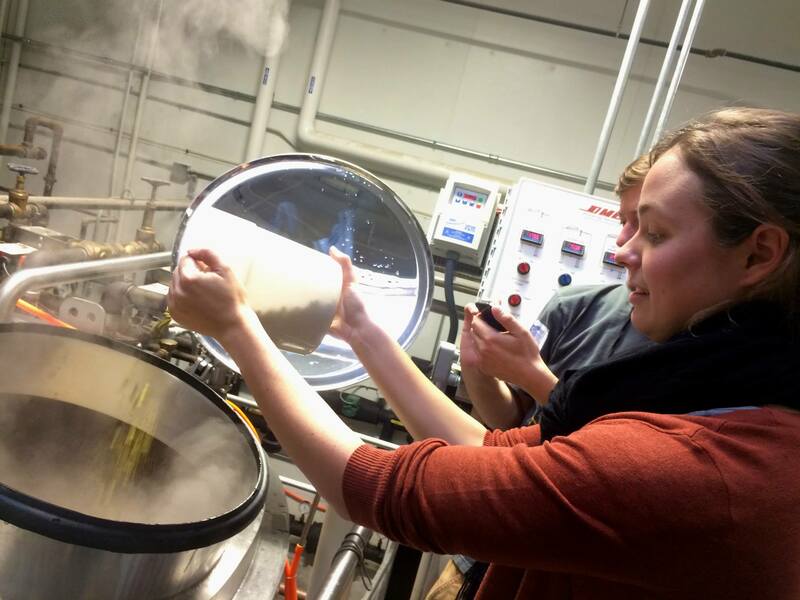 Our neighbors at Rising Tide have been brewing beer about as long as we have been selling pizza. Both OTTO and Rising Tide have strikingly similar histories: Independent businesses launched by pairs of lifelong New Englanders with a passion for crafting artisanal provisions. Both pairs followed winding paths that led to their recent successes. Both, in just a handful of years, have become celebrated staples of the Portland food & drink scene. Both have recently cracked increasingly competitive markets out-of-state, while staying fiercely loyal to the home town. Both are also very committed to supporting local organizations and giving back to the communities in which they live and work. While OTTO and Rising Tide have partnered on a number of occasions — road races, charity events, and other local initiatives — it wasn’t until fall of 2014 that the idea came up for an actual collaboration. It made complete sense. 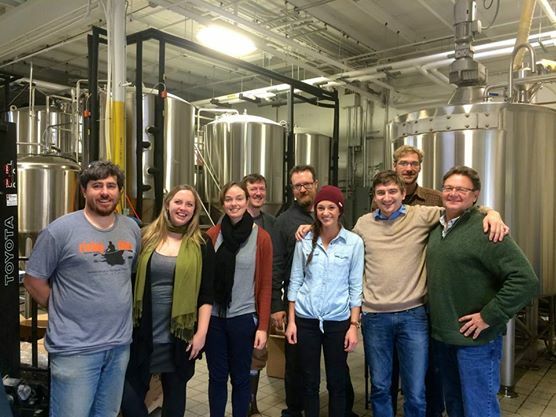 Soon the collaboration process began, and the brewing kicked off on November 12, with several OTTO team on site to assist. Everyone at OTTO and Rising Tide looks forward to sharing the fruits of this exciting (and delicious) collaboration the public. The first keg will be tapped at a special kickoff event on Wednesday December 10 at our Munjoy Hill location (225 Congress Street, Portland). Rising Tide (and OTTO) brewers will be on the scene. 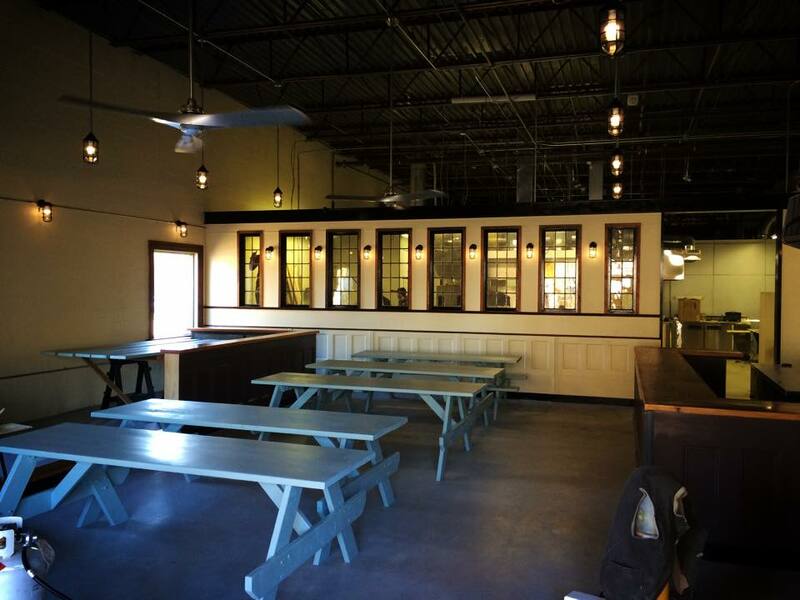 Most importantly, there will be no shortage of delicious Portland-born pizza and beer.